This is your first day in the safari. Our driver will pick you up from your hotel and proceed to Maasai Mara. You will stop at the Great Rift Valley view point for photo session and later proceed arriving in time for lunch. Afternoon game drives will later follow returning to your lodge for dinner and overnight stay. This is your day with nature. You depart your hotel with a packed lunch for your full day in the expansive Maasai Mara national reserve. Your guide will drive you near the animals giving that great chance to be near the animal kingdom. Spot the big five animals, lions, cheetah, leopard, Elephants, buffalo and many other. If you are lucky today, watch the real animal hunt. Return later for dinner and overnight. Depart after your breakfast for Lake Naivasha and Hells gate national park. You arrive in time for lunch at crescent camp Naivasha. In the afternoon, enjoy walking tour with a professional guide. Explore the gorges with a guide till the afternoon with great views of the hot water springs. Return to your camp for dinner and overnight. You will wake up early in the morning headed to Nakuru national park with packed lunch. You are headed straight to the park for full day adventure. You will check in at your lodge in the afternoon for relaxation and dinner. You will wake up early in the morning headed to Amboseli national park with one or two stops on the way. Your group arrives at AA lodges Amboseli in time for lunch and relaxation. The driver will pick you up at your lodge for afternoon game drives and later return for dinner and overnight. Spot the biggest herds of Elephants in this park. Full day in the Amboseli national park. You wake early in the morning for your breakfast. Great views of Mt kilimanjaro awaits you as step out of your room. 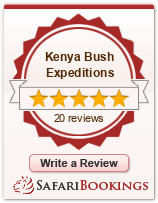 Driver will pick your group for game drives as great herds of Elephants awaits you. You return to the lodge for late lunch and afternoon relaxation. This is your last day in the safari. You depart after breakfast for Nairobi with one stop on the way. We shall drop you to your Nairobi hotel or international airport late in the afternoon.